The most rewarding aspect of being a teacher is seeing my students transform through their practice. I love teaching group classes for the dynamic it gives and the many lives you can touch at once. But I also realise that there's nothing more juicy than a one-on-one private yoga class. It is so amazing because it allows me to delve even deeper into the practice with my clients. More one-on-one guidance. I don't have to divide my attention over a whole group, in a private class I can really help you get deeper into the practice, by helping you align your body into these poses. I believe in working with someone's body, not against it. I don't believe in striving to create shapes. In these private classes we work with your body and the possible 'limitations' it might have. Working towards a goal. Whether it is to tone up, get stronger or work towards a challenging pose. In a private setting we get to create the space to help you transform your body and practice. The practice will be adapted to your goals and expectations. And since these classes will be tailored more to your needs, it will create the fertile ground for you to progress faster. Prepping for a yoga teacher training. If you are wanting to attend your own yoga teacher training soon and want to prep as much as you can beforehand, I can help you with that. These are some of the most fun classes to teach in my opinion. I get to not only, help you deepen your practice even more, but also give you my juicy tips on teaching. There is nothing more gratifying to me than passing on the knowledge I have obtained so far, and helping other yogi's reach for their dreams. 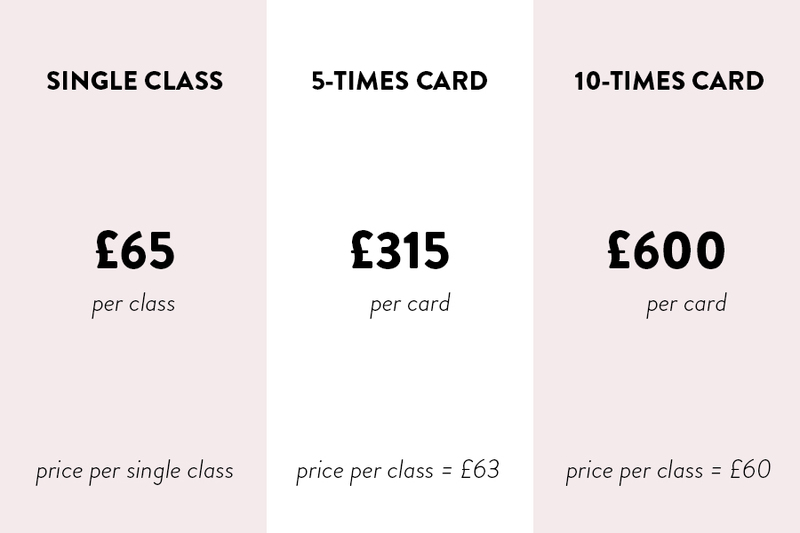 If you are living in the Brighton-Hove (UK) area and are interested in taking a private class with me, feel free to contact me through the contact form on my website. If you don't live in the Brighton-Hove (UK) area but still want a private class, I now offer Skype Classes. These classes will be taught through Skype and have the benefit that you could even 'take me with you' while on holiday (so to speak 😉). For more information or to book a session, contact me here. One class with the always smiling Silke is for me worth a dozen group classes! The progress I made in just one time is amazing.... She helped me work through questions and insecurities I had with regards to some of the asanas, and as I am relatively new in yoga I had a lot of these :). In my practice, I can now focus on my flow knowing where I should pay attention to and what adjustments I should make, even if the teacher in front of the class does not correct me. What I love most about my classes with Silke is the combination of laughter and a great class. I took the (group) yoga lessons with Silke for a longer period and it soon became the thing to look forward to every week on Thursday evenings. Her lessons helped me find inner peace. I really enjoyed the style of teaching from Silke, with a lot of passion and dedication. I am a restless person by nature and she managed to help me feel reborn after every class. I felt reborn and stronger, both physically stronger and mentally stronger. In her classes Silke took the needs of the participants to heart. Her classes were shaped by the needs and wants of the participants. Because of the relaxed feeling and atmosphere Silke created for me personally, I asked for private classes, in preparation to a yoga teacher training I wanted to take. In these lessons she also took into account the requests I had for my private study motivation. In the classes Silke also emphasised the correct positions and flows for all the studied yoga poses.